These hotels include African Pride Melrose Arch Hotel, African Pride 15 on Orange Hotel, African Pride Mount Grace Country House & Spa, African Pride Irene Country Lodge, Arabella Hotel & Spa, Arabella Country Estate, and join the brand’s diverse portfolio of more than 135 one-of-a-kind hotels that champion values of vision, design and craft. From contemporary urban to boutique country houses, each of these hotels offers travellers an enviable range of artistic, culinary and cultural adventures with a unique character and a defining sense of place. Ideally situated in the heart of Johannesburg, the 118-room, residential hotel is a unique blend of chic design and outstanding service. Located in a bustling neighbourhood, brimming with cafés, al fresco dining, high street fashion and more, the hotel sets the tone for a distinctly contemporary urban experience within a pulsating city. Dine at the March Restaurant that offers global cuisine, or linger by the fire at the Library Bar over a drink or simply lounge by the crystal waters of the outdoor pool and be inspired by the oversized buckets and mirrors and the surprise design pop-ups throughout the hotel that heighten the unique character and style of this hotel. 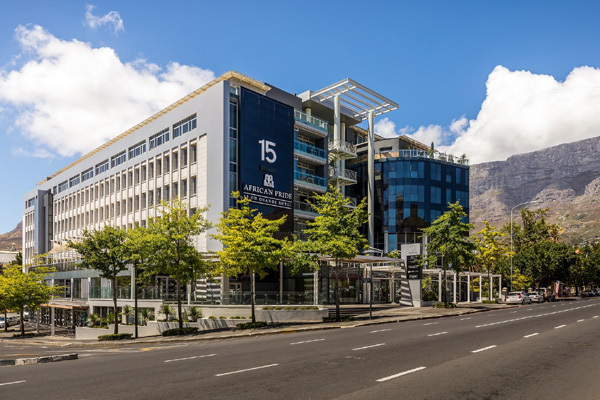 Set in the trendy Gardens area of Cape Town, the hotel is just a short distance from the city centre and offers convenient access to the city’s world-famous landmarks. With 129 contemporary rooms, the hotel reflects a quirky style and stand-out decor. Soak up the Cape Town sun at the rooftop pool; indulge in a globally inspired menu at Savour; sip a cocktail in the elevated chandelier pod while enjoying panoramic views of the majestic Table Mountain, or pamper yourself with a relaxing spa. Nestled amongst the ruggedly beautiful Magaliesburg Mountains, merely an hour’s drive from Johannesburg and Pretoria, the 121 room intimate hotel offers a serene country escape. Ignite the imagination and rediscover yourself in the serene gardens of the famed hydrotherapy spa. Relax in the Jacuzzi while listening to the soothing sound of the waterfall or escape in the sound flotation pool and let time fade away. Relish wholesome fresh food that showcases seasonal fruits and vegetables perfectly complementing the relaxing spa treatments at the Spa Café, indulge in delicious country garden style food with a chic flair at the award-winning Rambling Vine restaurant that features quarterly seasonal menus and an award-winning Grape list or try a 'fun’ meal at Twist where unlike other restaurants, the kitchen is brought into the restaurant with an unusual buffet style offering. The charming country setting makes this experience truly special. In the quaint and historical village of Irene, in the heart of Gauteng, South Africa’s economic capital, lies African Pride Irene Country Lodge, a haven of peace and tranquillity. The scenic long and winding oak-lined lane leading up to the lodge’s entrance leaves you feeling like you’ve left the city without actually having done so. With beautiful lakeside views, the lodge boasts of 75 spacious rooms a range of dining options and an award-winning Spa. Irene is known for its roots in art and culture and the local markets are a testament to the creativity that abounds here. Irene Farm across the road from African Pride Irene Country Lodge, Autograph Collection provides an authentic country experience, where dairy cows are milked daily and the local shop stocks an abundance of farm fresh delicacies.